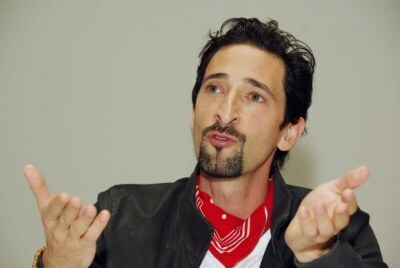 Because Courtney Love has shelled out a whopping $17,000 for a date with Adrien Brody, here’s a photo of him giving us that “WHY?!?! ?” look. We know why…it’s because she’s possessed by the crazy! I didn’t think she had any money left, after she claimed that some vultures ravaged Kurt Cobain’s estate. I wonder what possessed her to bid that much on a date with him? And why on Earth was Gerard Butler bidding against her? What does Adrien have that everybody wants? Now that’s what I want to know! Courtney Love : Skin & Bones – A Walking Skeleton!